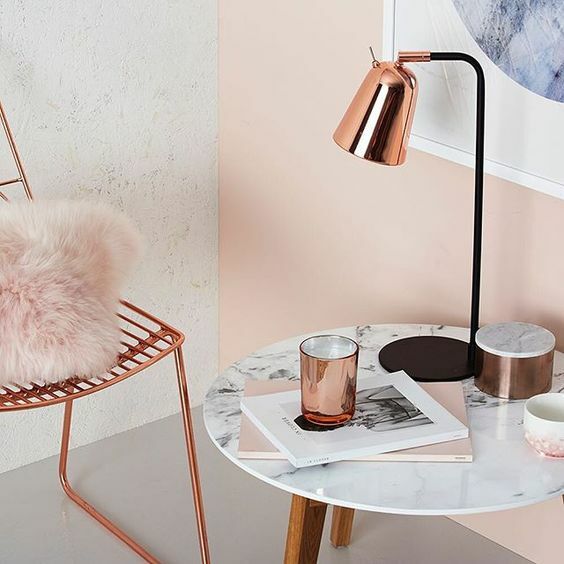 This dorm decorating inspiration board is inspired by two hot trends: rose gold and white marble. 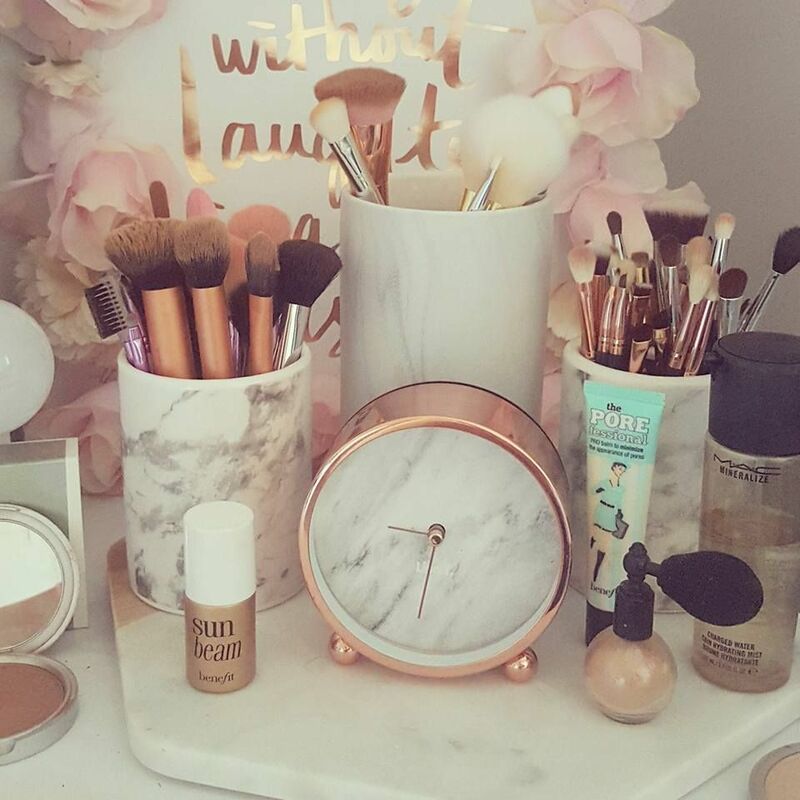 I love how the pinkish gold metallic pairs with classic white marble. It's ultra feminine, but with a sleek, modern edge. Get girly here. Flouncy, frilly bedding in a pale pink that borderlines mauve or peach. 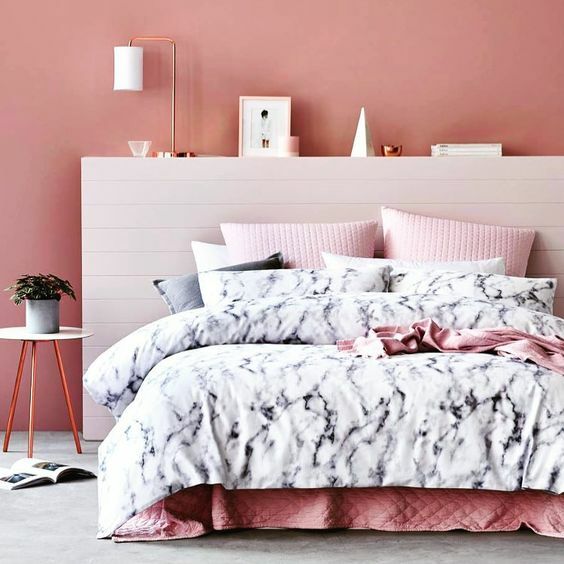 White sheets to match the white marble. Opt for soft and billowy, then add a punch with throw pillows that feature richer shades of pink and bits of (or entire spreads) of metallic rose gold. Lots of white and lots of soft, rosy hues. From there, mix and match photographs with artsy paintings with typographic prints. Throw in a rose gold frame or white marble frame for good measure. Keep it simple with solid white curtains—go luxurious with some silky, or easy and breezy with sheers. On the floor, opt for a rug that features both crisp white and the pale gray that mimics the fine veins in marble. A lovely geometric design will add pattern without overwhelming the space. 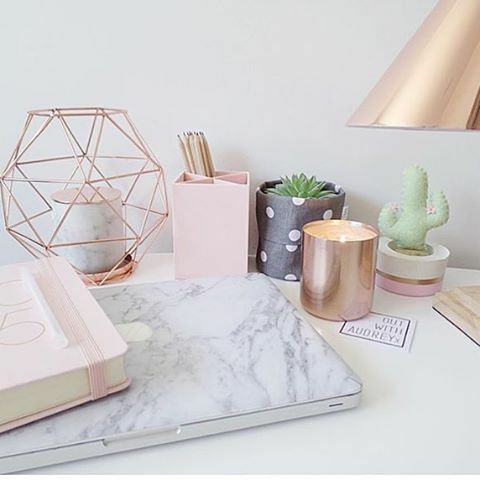 Dress up your desk in the loveliest rose, gold, and rose gold notebooks, folders, and school supplies. 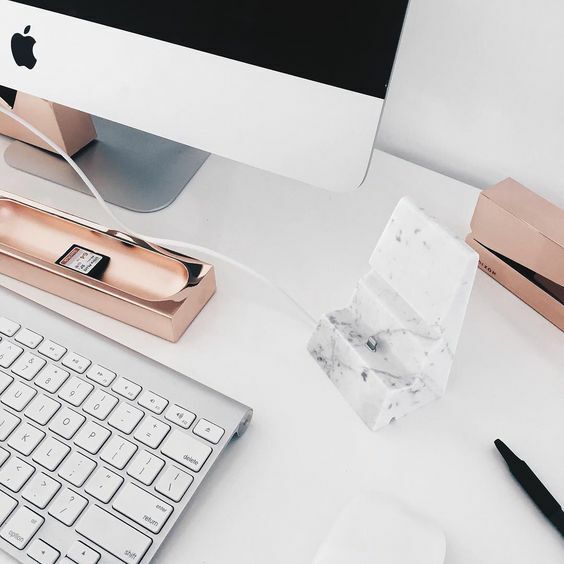 Use a crisp white marble box for storage, and keep pretty pink flowers on your desk. I also like the idea of throwing in one item a little out of the rose gold / pink / marble spectrum—in this case, a table lamp with a seafoam green glass base—just to balance things out and bring the girly-ness down to earth. I'm not that big of a fan of home decor but you are excellent at what you do! Love the aspect of geometry! Nice room setup. Neat and organized.